Have you ever read a book you completely adored and wanted to revisit its magic? I feel this way often about the books I love, so I thought I'd revisit a few of my favorites. I'm not sure how reoccurring this post will be, but my hope is to introduce the book to new readers, while rekindling its love in past readers, too. When each summer begins, Belly leaves her school life behind and escapes to Cousins Beach, the place she has spent every summer of her life. Not only does the beach house mean home away from home, but her favorite people are there: Susannah, her mother's best friend, and her sons, Conrad and Jeremiah. Belly has been chasing Conrad for as long as she can remember, and more than anything, she hopes this summer will be different. Despite distractions from a new guy named Cam and lingering looks from Conrad's brother, Jeremiah, Belly's heart belongs to Conrad. Will he offer his to her? Will this be the summer that changes everything? Going back to Cousins Beach was like revisiting a place full of warm memories and happy thoughts. It's been more than three years since I last read the story of Belly, Conrad, and Jeremiah, and how their summers all began and ended at the same timeless summer beach house. I could still feel the sand between my toes, and the warm sun beating down on my bare shoulders as I read from chapter to chapter. When you revisit a book that you already know the ending to, you begin to look at the details a bit closer. Am I still in love with this story as I was three years ago, the first time I ventured to Cousins Beach? Oh yes. And if it's possible, I think I've fallen in love with these characters in a whole new way. The first time I read this book, I was always worried about Belly. She's this young, naive girl, who has fallen madly in love with her childhood friend. I just knew she'd endure heart ache before the potential for a Happily Ever After would present itself. This time around though, I was able to let go of those worries and really absorb the character of Belly. It allowed me to understand her faults in a new light, and know that in the end she needed to stumble and fall a few times in order to appreciate what she had. Conrad stole my heart the first time I read this series. His character was hurting, and you couldn't help but want to reach out as the reader and sooth his pain. But during my revisit it was Jeremiah who shined a bit brighter. I was able to see the boy who could always make others laugh, yet harbored his own sort of despair as well. It was interesting for me to see these characters as they told their stories, yet I found myself focusing on different details I hadn't noticed before. In the end, the story concludes with the same feelings I had before. It reminded me of the sadness when beach houses close up for the season, and all its visitors return home for the fall. Your heart wants it to linger a bit longer... one more swim in the ocean, one last walk on the beach at night. Revisiting this story ignited my love for this book and reminded me why I adore it so much. 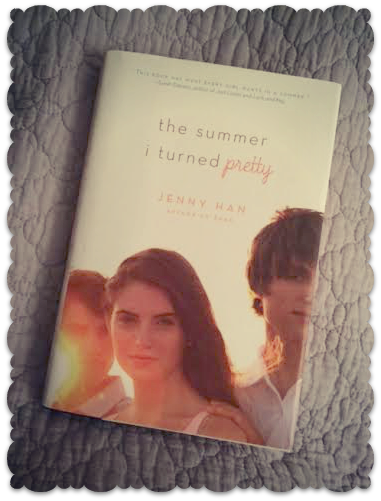 If you're new to the series, I highly recommend visiting Cousins Beach and allowing Jenny Han to transport you to a summer of youth and young love. I love this idea as a sort of feature. 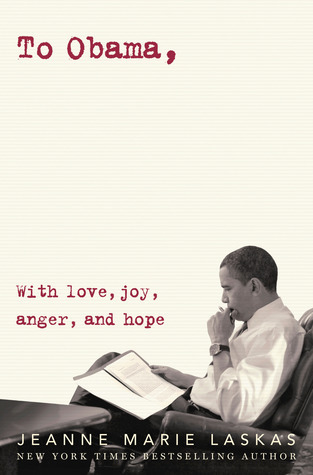 As you know I am often a rereader of books that make me just feel good so I love that you are talking about this. And I loved the book you selected for your first post! I still have trouble deciding which boy I love more in this story. Gah! You make me want to read it again. I might, it's my favorite book of the summer.